When I enrolled my oldest daughter in a U.S. preschool some six years ago, I didn’t really know what to expect. I figured she would sing songs, learn how to take turns, and maybe make some new friends. If she’d learn the alphabet in the process, I’d consider it a bonus. Mostly, I just expected my daughter to play. After all, playing is learning. I realize now I was clueless. 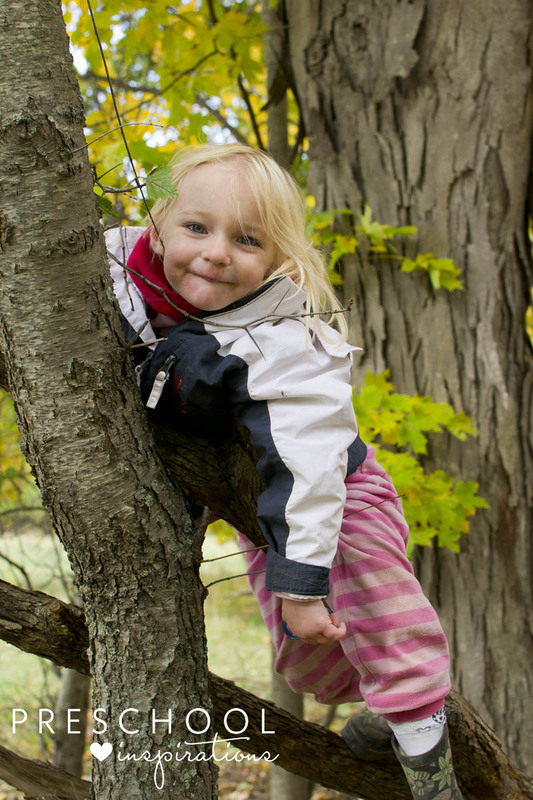 I grew up in Sweden, where play in general, and outdoor play in particular, is considered as essential to childhood as oxygen is to our cells. The national curriculum for the nation’s preschools (which in Sweden also function as subsidized daycares), talks at length about things like fostering democratic values, respect for human rights, and a lifelong desire to learn. One of the most important jobs for preschool teachers is to ensure that the children in their care develop integrity, compassion, self-confidence, responsibility and a desire to care for the environment. But honestly, I hadn’t given any of this, or my own preschool experience in Sweden, much thought until I moved to the U.S. and had children of my own. After my oldest daughter turned three, I was excited to find a wonderful parent cooperative with dedicated staff and a play-based ethos in our hometown in Indiana. A lot of the activities were crafts and hands-on experiments. A small part of the classroom was dedicated to different centers where the children took turns playing with LEGO, dolls, trucks, plastic shapes, a sensory bin, and various other toys. Behind the scenes, however, the staff were struggling with the changing expectations of what early childhood education should look like. Some of the parents were worried that the school spent too much time on hands-on projects and not enough time on academics. The public school also started to put pressure on the teachers to get the students ready for kindergarten. As my daughter entered her second year of preschool, that meant more time spent on completing papers and practicing handwriting and less time to play. By the time my second daughter was in preschool, the students were getting weekly homework assignments. They were not the only ones, I soon realized. Academic expectations on both preschoolers and kindergartners have increased in recent years. According to the advocacy group Alliance for Childhood, the push for a more academic kindergarten began in the 1980s, but has accelerated with the programs No Child Left Behind, Race to the Top and, most recently, the Common Core State Standards. “Teacher-led instruction in kindergartens has almost entirely replaced the active, play-based, experiential learning that we know children need from decades of research in cognitive and developmental psychology and neuroscience,” the group notes. If kindergarten is the “new first grade,” as many early childhood experts contend, it certainly seems like preschool is suffering the consequences. While some children are developmentally ready to start dabbling with reading and writing in preschool, many are not. And although the Common Core Standards may have you believe otherwise, there are actually no studies that show long-term benefits from learning to read in kindergarten, let alone preschool. On the contrary, pushing academics before a child is ready for it can backfire, since they may lose the joy of learning. Well, those Swedish preschools were on to something. Because the most effective way for young children to learn is actually what requires the least amount of adult intervention: play. I explain more about Scandinavia’s child-centered approach to learning in my book There’s No Such Thing as Bad Weather. Play is about as universal as it gets, and not only for human children. Young mammals often play as a way to practice and prepare for adulthood and many birds engage in playful behavior too. Play is essential to brain development. When children play, it helps them grow nerve connections in the brain, which are needed for normal development of gross and fine motor skills. These skills pave the way for academic success later in life. Play stimulates imagination and creativity. Children who engage in imaginative play are more likely to become creative and apt to solve problems as adults. Play boosts the brain’s executive function. This function is necessary to develop time-management, decision-making, organizational and planning skills, as well as working memory. It also helps children gain self-control and self-discipline. Play helps improve language skills. Studies have shown that children who engage in symbolic, pretend play have a better understanding of language and are more advanced at expressing themselves. Federal educational standards are not easily budged and the hyper-competitive culture that fans the fears that our preschoolers will fall behind academically is probably even harder to change. But play advocates are starting to make their voices heard that playing IS learning. Although “play” has almost been a dirty word in early education, some experts believe attitudes are slowly changing. That’s good news. Because even though not every preschooler is ready to start reading and writing, every one of them needs to play. Thank you for the post. It makes our parents and teachers how to make our kids enroll in the preschool and that helps to develop their skills for their better future.